At Aplicaciones Tecnológicas S.A. we are experts in Lightning protection. We have at your disposal all the latest technology and we are constantly innovating, providing suitable solutions to each particular case, for an integrated, safe and complete protection. 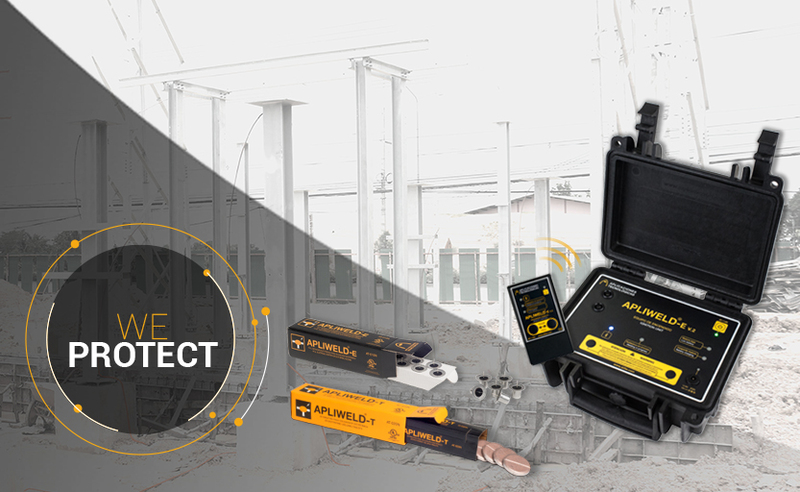 The introduction of the tablet format in the Apliweld Secure+ system developed by Aplicaciones Tecnológicas implies innovation which has brought significant advantages for the implementation of exothermic welding in any earthing system. Aplicaciones Tecnológicas, leader in lightning protection systems, is organizing free online courses aimed at professionals in the sector. 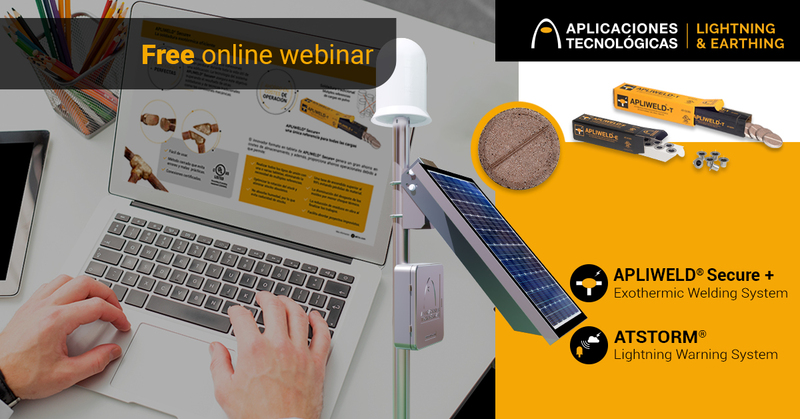 During April and May we will be holding webinars on two products: ATSTORM®, a thunderstorm detection system for labour risk prevention, and Apliweld® Secure+, an exothermic welding system in tablet format with remote electronic ignition. 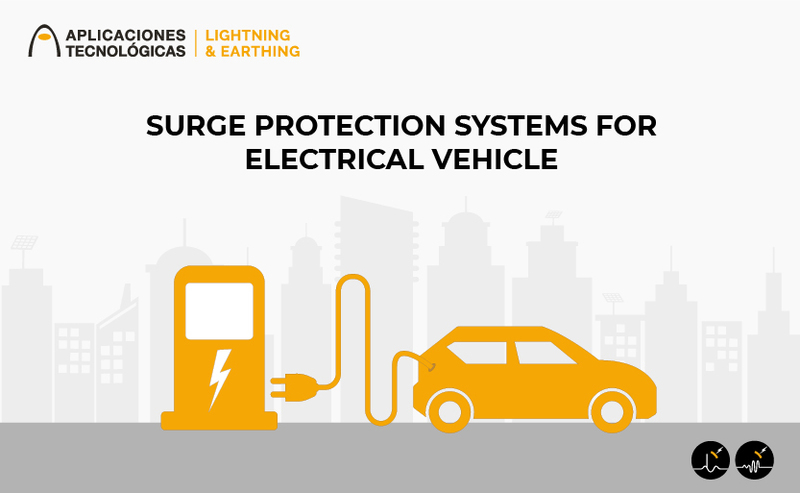 For an efficient and safe electrical vehicle charge, a specific instruction has been elaborated within the Low Voltage Regulation for the installations intended for that purpose: the ITC-BT 52. This instruction stresses the necessity to have specific material in transient and permanent surge protection. Aplicaciones Tecnológicas has tailored solutions for compliance with this standard. 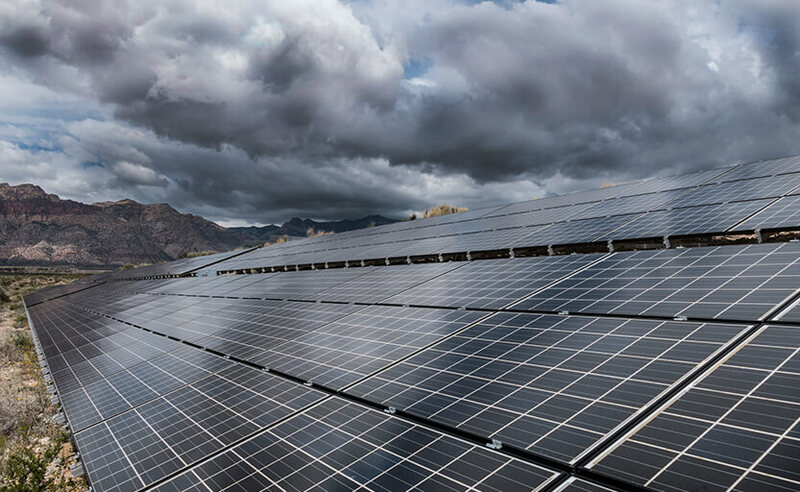 32 percent of damages in photovoltaic plants are caused by lightning. Global warming has become one of the most important concerns in society. Therefore, the use of renewable energies which do not produce polluting emissions or greenhouse gases, is booming.